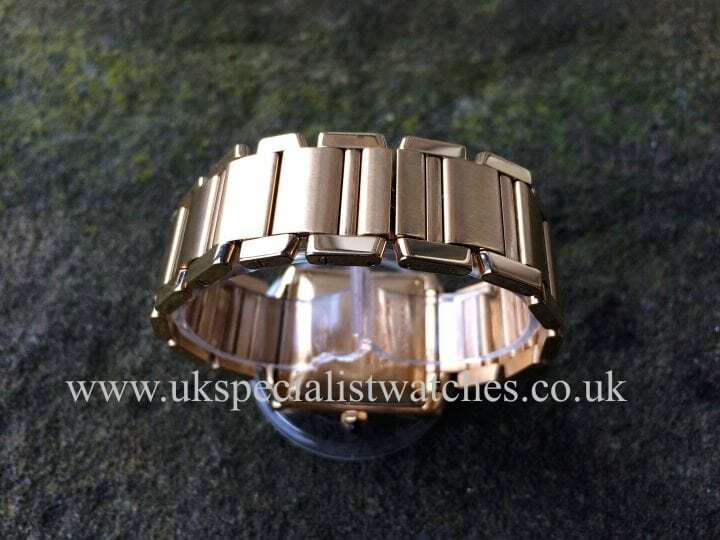 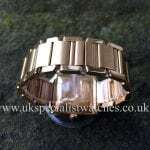 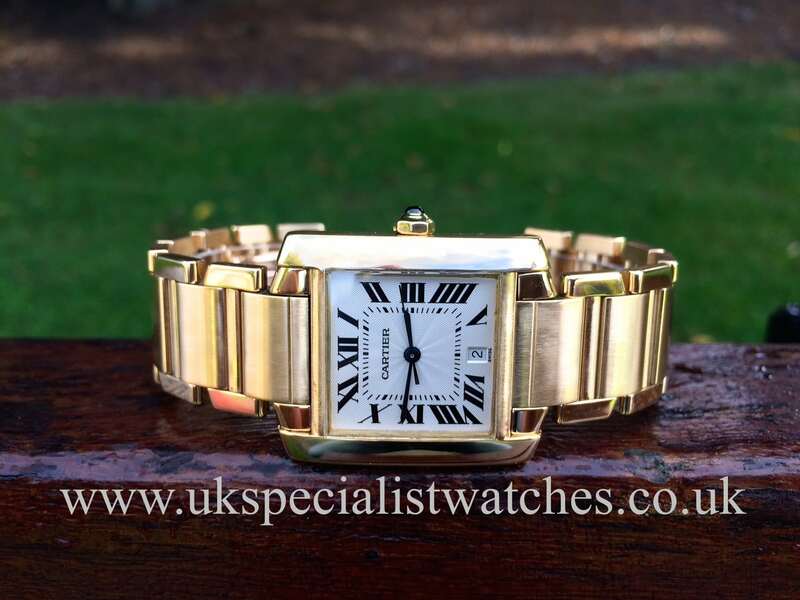 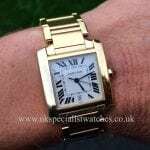 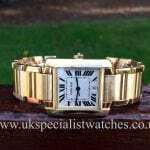 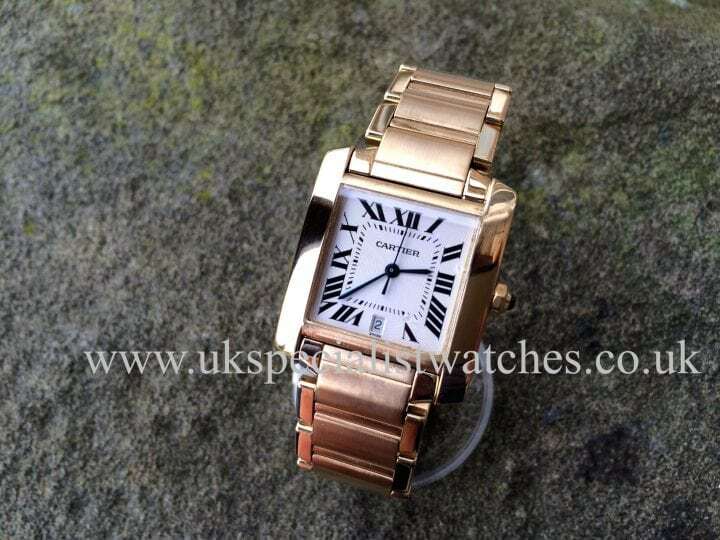 Gents large size Cartier Tank Francaise ( Ref.1840 ) made from 18ct solid Gold This classic model with the silver guilloché Roman dial and the secret Cartier signature @ 7 o clock. 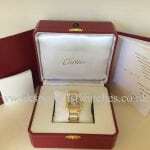 The Crown is set with a Sapphire Blue cabochon. 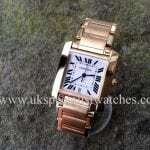 This Tank Francaise model is very popular for both men and women and remains one of Cartier’s best sellers. 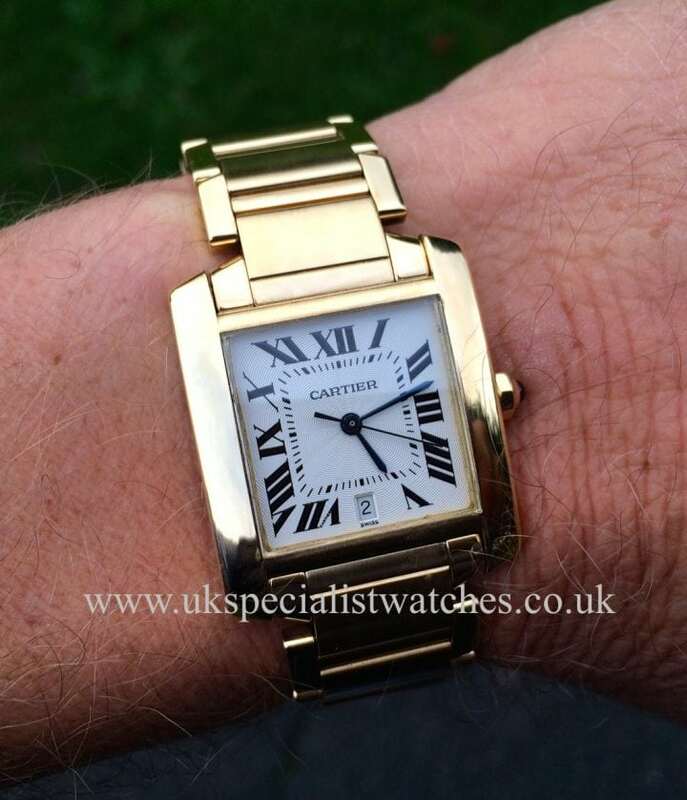 This Watch costs new today over £16500 so represents excellent value for money. 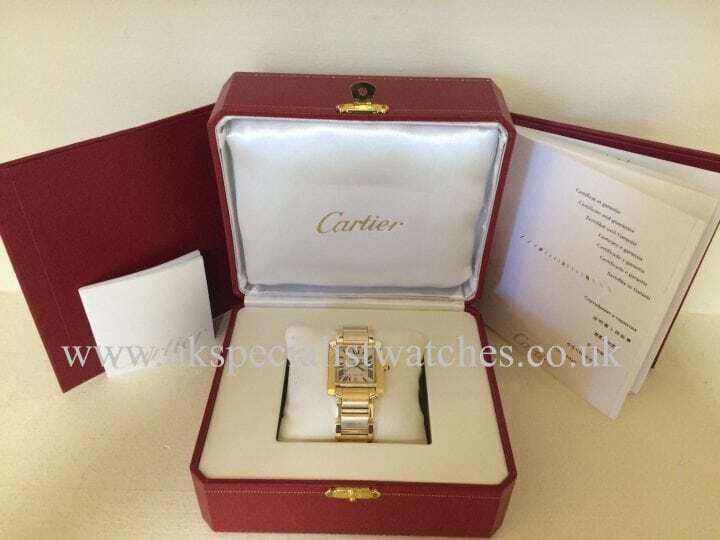 Our 2007 pristine example comes with a original Cartier red presentation box and papers.